Exercise is honest. Are you? You can, or you can’t. You will, or you won’t. There is a point in every hard workout where I contemplate stopping early. Eight hills are plenty for today. You don’t feel great. You didn’t sleep well. It’s OK to back off a bit. Twenty minutes in the gym is good enough. Fifteen pushups? Not this set, let’s stop at ten. The discipline to say yes to more is definitely not automatic. It’s not a born trait. It’s not genetic. Your behavior is cultivated through repetition. Therefore, you become predictable, in a good or bad way, successful or unsuccessful, with each and every decision you make. Do you look for solutions, or seek a way out? Comfort zones stagnate. Time, distance, weight, repetition, rest, etc. all play their respective roles in progressing you towards improvement. Each element is adjustable. Each adjustment either increases or decreases difficulty. Staying at a consistent stimulus, or working within the same parameters, causes stagnation. A new normal is continuously being defined. As you adapt to stress, via exposure and absorption (rest), you grow. This growth is both physical and mental. The mental aspect is key. Once it’s been done you know that it CAN be done. And done by you, not merely another human being. Physical growth comes during the period of rest or recovery (period of easy movement) that follows a new stress stimulus. A little faster, a little further, a little higher, a little more resistance, a few more reps, a couple more sets. Choosing one, or a few and agreeing to “go there” is making a decision to improve. You’ve planned to expose yourself to something new. When the moment arrives and you follow through, you’ve just expanded your world. That one small present-moment decision changes everything. Schedule (plan) these opportunities for yourself to improve. Place them in your schedule often enough to build decision making confidence and success. As always, things take time. These “growth days” are green light opportunities for your mind and body. Understand that your success cannot be rushed. Callouses form with repeated exposure. Revealing yourself to the effort and demand not only callouses the body but it hardens your mind as well. Through this process, you gain the ability to accept more (load, repetition, duration) and in turn, give more the next time. Personal Story: The year is 2012. One week prior I completed the challenging Leadville Trail Marathon. A 26+ mile run beginning and ending in historic Leadville CO, which sits at over 10,000 ft elevation. Almost two miles high! Living in Albuquerque, at relatively high elevation (5000 ft), the altitude factor was not something I worried about. Having no prior experience with physical effort at altitude, I was soon to find out its effects. The race went surprisingly well. I finished in 6th place out of 500+ runners. Not a bad day on trail by any means. The following week is when the event exacted its revenge on my body. I was exhausted, hungry, and sore… all week long. Knowing I had the 50-mile race a mere two weeks after the marathon, I had to listen to the wants of my system while also looking ahead to the big event on the horizon. Thus, one week after the marathon, and one week before the 50-mile race, I set out to run a 25-mile loop in the Sandia mountains. The idea was to harden up the legs and callous the mind to the effort and elements. You see, Albuquerque in July is hot, windy, and incredibly dry. Often times the forests are closed due to fire danger. Meaning humans are not even allowed to recreate in them. Those three elements (heat, wind, dry climate) are a dangerous combination. Nonetheless, I set off with two water bottles and a few hundred calories of sports drink and energy gel. I chose a route that would take me up the iconic La Luz trail. A rugged, beautiful climb from roughly 6,000 ft elevation to over 10,000 ft in 7-miles. It presents a nice challenge amidst a long loop in the mountains. My plan was to re-supply with water at the top and if my body was not up for that length of a run, to take the tram down, shortening the run from 25-12 miles. Early on in the run, I went to close one of my water bottles by hitting the cap on the bottom of the other bottle. Just as I did this I heard a pop and saw all of my fluids quickly draining out. I had punctured the bottom of the bottle with this action. Now, I was down 16 ounces of fluid and one bottle. Surely I would shorten the run at the tram and cut my losses. I had plenty of fluids to get me to the summit and consumed the calories I had, figuring I may as well keep my energy stores topped off. My spirit was good and legs felt OK. Cresting the summit and reaching the tram I saw a sign posted. Closed due to high winds. Hmmm… that’s not good. At this point, I am almost out of water and calories. With an almost empty bottle of water, 100 calories and a couple of salt tablets on hand I had to make the trek back to the vehicle. The day was beginning to heat up. Add that factor and it was bound to be a character building experience. 90-minutes later I found myself descending a familiar trail, coming to a spot where I had always seen water pooling. It was a spring in the mountainside. Now, I’ve always been cautioned to steer clear of any water coming out of the ground for fear of giardia, which wreaks havoc on your GI system. Undeterred, I stopped at the trail and filled my water bottle. I downed it. Then I cooled my head, arms, and chest with the cool water. It felt amazing. Filling the bottle one more time, I tightened the cap and continued descending. My pace was slow, my steps a little unsure, but my resolve was strong. Mile after mile I kept moving until finally, I broke free from the dense tree cover into the exposed foothills. With close to two miles to go, it was now a full-on assault in the mid-day sun. I finished the run. Exhausted, depleted, yet satisfied. I’d did probably the hardest thing I had ever done in my life up to that point and did it solo. What’s fascinating is that to this day I can pull from this experience and use it to push through difficult endurance events. I did not know what it meant to endure until this moment. A week later I finished the Leadville Silver Rush 50-mile Trail Race. Coming in 10th overall I again exceeded my expectations. As predicted, the race brought many ups and downs. It reinforced the idea that the mind is primary. Once the mind has been exposed to new stressors and overcomes the desire to quit, stop, or feel sorry for itself, your potential is now greater. How do you know until you know? You don’t. Create opportunities. Adapt to challenges. Broaden your experience. Create new definitions for both your capability and possibility. Mindset, motivation, and intention are incredibly important parts of your training session. During our live workouts, I’m keyed in on your body language, energy, concentration, and overall focus. Some days we make breakthroughs, other days we set you on a course to have success throughout the rest of your day, or week. Remember, you are training for life, not to be an Olympian! Your workouts should build you up, not beat you down on a consistent basis. Key into the fact that if one person can do this so can you. Potential is a possibility. Desire drives action. The philosophy of movement is one of engagement. Pure and simple. Envision yourself as a child, rolling around, then crawling, then pulling yourself upright, then walking, climbing stairs, and eventually running, tumbling, swinging, climbing, etc. Movement is bliss. It’s freedom and entertainment. At this stage of life, the world is your playground. The less organized it is, the more fun it is. Spontaneity dissolves time. Remember being pulled from an experience to come home for dinner, or do your homework? Devastating! … Our approach to fitness will seek to re-establish this relationship. Re-connecting mind, body, and soul. Run / Accumulate Volume: time, distance, reps, etc. Analyze the situation and circle back to this idea of breathing. It’s a great way to figure out the level of effort you are expending. Ask yourself: can I breathe through this movement? How long can I sustain this? … Lacking an ability to breathe results in an increased HR in all positions (isometric) and/or movements (triple extension and overhead). Breath work is a system connection. Favors the process over the product. Trains the mind to be present. Reminders: both of these are controlled by the breate, and work in tandem. “Relax Your Face” – don’t show the stress you are feeling. “Soften Your Belly” – easy breathing to endure prolonged aerobic activity. Today: your choices add up. Accountability begins now. Be present. Discipline or buy-in is high. In this new beginning a lot is required of you. Attitude training. How much can you muster? First 30-days, very linear results. A shift in your “mindset” to living occurs. Developing a new value system. Non-linear results. Highs and lows are experienced. Accumulation and completion of workouts / positive choices. Q: What builds you up? Q: What beats you down? Recognition of strengths and weakness. Knowledge of effect of choice. Q: How are you eating? Life viewed through a broad lens. Vision for who you will be, what you can do, how you move, breathe, look, and feel. What will you be able to do? Improved capability. Broadened scope of choice. Remember, with fitness, comes confidence. How is your health? What will have improved. How does this make you feel? Completion. Change. Lead to improved cognition. Mental clarity. Put a fine/sharp edge on your existence. Outcome: Lifestyle change. “Things” become automatic. You will decrease the number of decisions to be made. Life simplified. Do I have the time? Do I have the motivation? Do I have the energy? Can I really do it? When you own it. You become it. Appearance is a consequence of fitness. Everything comes from repetition. Your exercise is a skill, developed from repetition. Therefore, fitness is a process of accumulating skilled repetition. Once you have ownership of a movement (specific exercise or modality of locomotion) each repetition solicits the intended response. Obtain skill via consistent repetition. All workouts are not the same. The stimulus can be general or specific. The action random or programmed. If you can communicate to me what you want to see happen with your fitness or physique, I will train you with this as the focus. 100% focus on your outcome. You will learn why movements are done. You will learn to connect mind to body to movement. In repetition you will seek the feeling. Your time will always be maximized. Workout completion will result in exhaustion. Setting you up for success the rest of your day. Working out is not simple or basic. There are no basic movements. A movement variation is not the destination. The process is one of skill development to increase efficiency en route to product. Realistic approach to fitness means we must be looking for the minimum effective dose (MED). Your daily dose. Reducing workout volume, time, distance, or repetitions, does not require an increase in intensity. Quality. Connection. Focus. In fitness, racing, or any endeavor where you can effectively choose your level of effort, there are only so many times when you can dig deep. Equate this to striking a match. It flares and burns for a short moment and then it is gone. Thus, distribution of effort should be wisely thought out and intelligently undertaken. If all of your workouts are of the intense variety you will soon plateau. Striking a match that will not ignite. This leads to lost motivation, decreased desire and even a feeling of hopelessness. You’ve deviated from a process mindset. Those matches in your matchbox should be the special spark you rarely use. There when you need them. Prescriptive in nature. With age you have less matches to light. Focus on the learning. Understand the why and how. Doing and completion. Numbers and weights do not matter. Your fitness foundation is built upon knowledge. There are no endings, but only beginnings. Move well, beginning at dawn. Engage with a beginners mind. Zero expectations. Ask questions. Use caution. Always use common sense. Do no harm. Speed and intensity are killers. Know your limits. The beginner must become comfortable being uncomfortable. The “new” normal. Parameters of Performance: recognize that at the highest levels genetics come into play, but for the lifestyle athlete this need not be thought of as having a significant effect. You will learn to understand the mind, discipline, and the concept of force of will. Force of Will: requires one to continually remain in the moment. Employed moment to moment to sustain the training exercise. The act becomes a mind-focus instead of a body-focus. For more information on fitness and lifestyle coaching, please contact me here. I look forward to connecting with you! Your life gives you a finite amount of time, energy, and focus. Define what gives you the most value and spend your time on that. Do it. The rest is simply details. Balance. Keeping it all in check. Working enough to be proficient, but not an excessive amount to be a specialist. I’ve always operated best in a state of balance. Creating my own goals and activities. Using self-monitoring techniques to make decisions. Input and Output. Cause and Effect. Analyzing the aftermath. Life is never easy. The modern world is demanding. Therefore, we must be flexible. To be flexible we must be competent. Having a diverse set of talents gives you options. Having options provides the power of choice. Well, when you can choose, the effect is never far away. Engagement forms the bond. The bond becomes the connection. The connection makes it a lifestyle. When it’s your lifestyle, well, then you own it. Life is a continuum. There is no big moment lying ahead. Establish your daily routine now. What you live will be a circular set of experiences. Avoid magical thinking. There are no secrets. All changes are just habits. Learning to say “NO” to things that derail is paramount in importance. strength, flexibility, walking, and patience. prioritizing endurance, reducing strength and flexibility, increasing recover practices. hunt, hike, stretch, water, body weight, movement flow. Coaching – Are You Ready? Looking back at each developmental stage of my life, I can pinpoint a specific person that was pivotal to my progress. Coaches, mentors, and even friends come into your life at key moments when your curiosity, drive, and focus are at their peak. This is the law of attraction. Connection builds trust. From a position of trust, we open ourselves to suggestion and likely, honest criticism. When I meet someone I’m always curious about where they are headed. What’s the future look like? How are the decisions they make aligning with said direction? What are the hard choices they are making or putting off? This curiosity comes from my own self-analysis. I’ve wasted plenty of time. Been complacent. Lazy. Put off hard decisions. Wallowed in self-pity. Made excuses. Quit races. Given up. Been jealous. The complacent, weak-self I described above ALWAYS occurred when I was without guidance, mentorship or coaching. What’s missing? Accountability and vision. Someone who knows when to build you up, as well as when to break you down and then put you back together. As a professional coach myself, I value my personal coaches immensely. Investing in yourself shows maturity and a level of commitment to life that can only be described as UNCOMMON. Lean it out. Cleanse yourself of the common attitudes and opinions of those around you. Self-limiting beliefs can be contagious. Protect your circle. Let your true energy and personality shine through and opportunities will present themselves that you couldn’t have imagined. Application of the concept of right practice, the pursuit of excellence, or the process of formative lifestyle change/improvement applies to all areas of your life. Making this distinction and honestly engaging each aspect of your existence with these principles is a skill to be consciously employed. Most athletic practice will embrace some fundamental performance objective, and this objective properly will be embodied in a general image of purpose. Discrete performance objectives / maximum specificity. Each microsystem must be trained with maximum intensity. The purpose of walking the path is not to attain some final destination but simply to progress ever further along that path. The ego distorts purity of practice. Product-oriented pursuits serve the ego, seeking some objectified result to be achieved through that practice. There is no purity of practice. No commitment to the process. The purpose must possess a process orientation. This process orientation to the image of purpose, in turn, has two dimensions: intention and direction. The force of will acts on the mind in two ways. First, the mind must be directed, toward some conceptual goal. Second, the mind must be propelled or animated to move in that direction. The greater the specificity and intensity of practice – that is, the more purposeful – the more effective the practice will be. We grow when challenged. Now, more than ever, it is easy to avoid uncomfortable situations. Social, physical, mental, environmental… they can all become non-existent in our lives. Days turn into weeks turn into months turn into years, they hurry by you. Recognizing a challenge and engaging whole-heartedly without fear of failure, or expectation of success is a trainable skill. Approaching your challenge with a personal, meaningful mantra and reason is paramount. I can’t create your why or reason for you. Spend time in your own head each morning. Rise a little early. Break the routine just a little. Journal. Think. Grow. Be accountable. Epithets for the self: Upright. Modest. Straightforward. Sane. Cooperative. Be honest. Follow through. Recognize that we often quit at 40% … think about that… you’ve got 60% left to give, it’s there, just waiting to be exposed. Whether training or competing you need to wire your mind to dig deep into the well of effort. This is why you do the uncomfortable, repeatedly. Training is just that. It’s practice. Don’t judge practice. You are your toughest critic. Running 100+ miles in 24 hours is a practice of commitment and self-care. Over and over again you are asking yourself to keep moving for no other reason than a personal commitment. No fame, no glory, no money, nothing but completion of the short journey that is endurance sports. Value your time and you can create an existence for yourself that will bring you pride and joy. Do it for yourself. Do it for your family. Do it for your soul. Don’t do it for the selfies and likes you may receive. It’s not a reliable source of validation. Accept how much personal power you have. Once realized it may overwhelm you. Move forward and look ahead. The future is now and the path is in front of you. I applaud your decision to use the sharp knife and make a clean cut on a new future. I label myself a fitness, health, and performance coach. The reach of fitness and health is broad, wide, diverse and expansive. It’s almost impossible to quantify the power your physical and mental fitness has on the rest of your life. No matter how successful you may be in other areas of your life, if you don’t have a high standard of fitness and health, you will lack performance. My approach is simple. Get fit. Be healthy. Stay confident. Fit. Healthy. Confident. It flows right? I believe in coaching for one simple reason: accountability. In most areas of our lives deadlines imposed on us by others. Appointments, due dates, responsibilities, etc. all work to structure our weekly flow. When adding something personal into that mix, such as fitness training, it is paramount that the importance of this addition is treated as highly as those imposed on you by others. This is where your accountability coach comes in. A requirement that all fitness and health activities be recorded and tracked. Upgrade: “live” training via facetime, skype or other video calling service. Consequences for non-compliance. If you aren’t participating, you are gone. Do you run a marathon to get to the finish line? Seems like a lot of hard work to simply stop the clock, right? No, you run a marathon to experience the journey along the way. From the day you commit to the process your life begins to change. No excuses. Do what has to be done to be successful! Simple is key, but simple isn’t easy. Exercise, for most, is a small part of our lives. A means to an end. Keeping it simple and efficient requires a skill of practice that is not instantly obtained. In order to excel with this concept: repetition, discipline, and desire must be harnessed consistently. With trust and commitment change is possible. Our species thrives on forward/upward movement. Feeling the momentum of progress is addicting. Chasing the idol of physicality is never-ending. Mastery is an illusion applicable to no physical endeavor. The effective minimum dosage of the physical permits frequency. Where does this lead us? Guided, online coaching requires you to be heavily engaged in the workout. Focused and attentive. Understanding the stimulus. Adjusting resistance or rep count to elicit the proper feeling. There is no “plug and play” concept to exercise. Questioning if the movement warrants the response. You will never skip this step. Avoiding failure is smart for most. Quality repetition leads to increased frequency via efficient recovery. Desired results. Efficiently delivered. Sounds nice, doesn’t it? Have you ever experienced the feeling of decreased self-control, or willpower due to simply being tired? I know I have. Finishing a long run, depleted, I’m susceptible to cravings and impulses I simply do not normally have. Sweets, carbs, bread, beer, etc. Following the “positive” comes a negative. What do you think this is telling your body? The same can be seen in the effects of excessive high-intensity interval training. Crushing workouts followed by fatigue, lead to diminished discipline and heightened reward signals. Why are you exercising? Body composition change? Image enhancement? Mental and physical performance? Hobby? Your purpose should direct the type of exercise you employ, as well as your nutritional needs. Injuries happen when you ignore the signals your body is giving you. Excessive fatigue before, during or after exercise is a “Red Flag” to be respected. Stop and reassess. Only use a training weight that you can manage effectively. Ignore rep counts that you can’t mentally stay engaged long enough to handle. Where the mind goes the body follows. If 100% focus is not happening, then stop the exercise. More harm than benefit may be had on this day. Learn to leave something in the tank for the other events of your day, or tomorrows workout. Consistency and repetition are where your results will come from, not the temporary beat down of too much too soon and subsequent delayed recovery. Distractions help pass the time, but it is not passing the time that we are after. Mind/Body is not a byproduct. Manifest the desired outcome and picture it happening. Simply put. Learning to engage a muscle, what it feels like to achieve a proper contraction and seeking that feeling each repetition will give you amazing results. Eating less frees your body up to focus on aspects other than digestion and recovery. Less time spent exercising means more time spent living with your fitness. Remember that your fitness and health are positive enhancers to your lifestyle. Engage in the learning process. Mastering a few key aspects of movement will do more for your health than any amount of variety can muster. Rep to rep, day to day, step by step. Positive, useful, negative… it all adds up. Choose wisely. DO THE WORK. Days priority. Know it. Respect it. Energy dispersion and allocation. Finite resource. Nutrition and supplementation. The timing of fueling. Start the process each day. You can do it. Mindset/approach. Of… reality, possibility, difficulty, ability… all manifested within. You must realize this is your responsibility. To give your best effort when called upon regardless of circumstance. 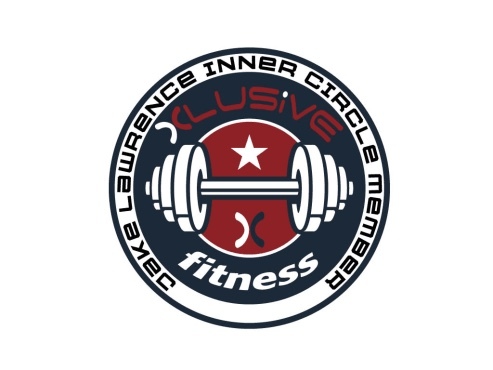 Focused on connecting the body and mind, we exist to ensure you excel and succeed in your athletic, health and fitness endeavors. It’s more than workouts, it’s a lifestyle. Get Fit. Be Healthy. Stay Confident.